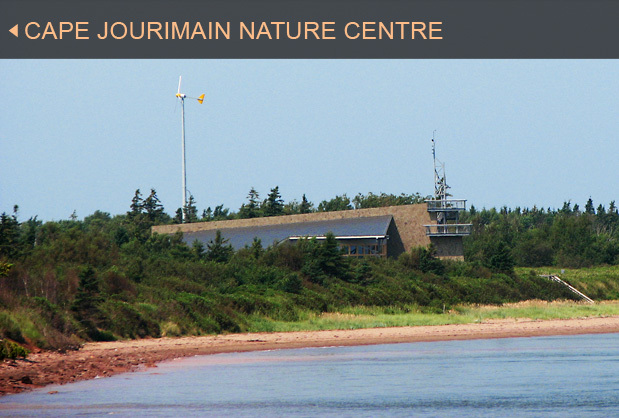 Green Building, Green Building Projects, Cape Jourimain Nature Centre, Clivus Multrum Inc.
Cape Jourimain Nature Centre Inc. is a non-profit organization dedicated to improving understanding of the human and natural history of the Cape Jourimain National Wildlife Area. Located at the foot of the Confederation Bridge connecting New Brunswick and Prince Edward Island, the Nature Centre was designed to make as little environmental impact as possible while educating visitors about sustainable building practices. Clivus worked with Engineering Technologies Canada consulting engineers of Stratford PEI and with Architects Four of Moncton NB to design composting toilet systems into the Visitor's Information Centre and the Interpretive Centre. The Visitor's Centre includes a gift shop and restaurant serving locally and organically grown foods. The Clivus systems in this portion of the Centre had to be designed to accommodate thousands of visitors traveling during the summer months between New Brunswick and Prince Edward Island. The Interpretive Center includes both exhibits and staff offices. Since its opening in 2001, the Centre has been recognized for its overall sustainable approach, having won both the National Award for Tourism Excellence and Parks Canada Sustainable Tourism Award. The sustainability systems within the Centre include a greywater treatment system, geothermal heat pumps, rainwater collection, solar hot water, and a wind turbine. But the Clivus compost toilets remain the most visible and most remarked technology.